Neil Young is pretty much alone in his peer group of sixties hippie rockers, because he has been able to stay relevant and iconic without sacrificing his artistic viewpoint. In a career spanning almost four decades now, his albums are still an event, he is revered in concert and known as an inspiration to hundreds of younger bands. While his specialty has always been country-folk-rock songs, he has experimented in styles and genres. Surprisingly, though, he has been the subject of very few compilations, probably the best of which was the 1979 vinyl multi-disk set Decade. This new compilation is a terrific starter's course in Young's music, giving the biggest hits and some important album tracks. Undoubtedly the best song here is probably one of the best known, and one of two that were not solo songs (it was released as Crosby Stills Nash & Young.) "Ohio" is simply the perfect protest song, written in a passionate burst in the days after the massacre of hippie protestors at Kent State University. The song is a history lesson and an angry cry of injustice packed into three minutes of raging guitar and accusatory vocals. 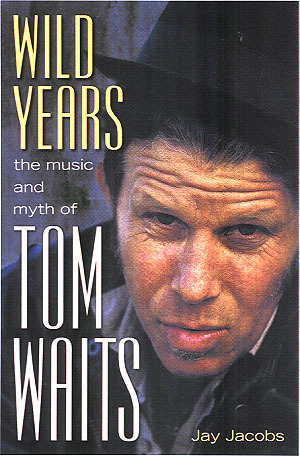 Of course, it isn't all protest songs, there are wonderful love songs (like "Cinnamon Girl," "Only Love Can Break Your Heart," "Harvest Moon" and "Heart of Gold"), wistful story songs ("Old Man" and "After the Goldrush") and some surprisingly rocking tunes ("Hey Hey My My [Into the Black]" and "Rockin' In the Free World."). If there is one complaint here, it is that for a singer/songwriter with such a huge catalogue and respected body of work, it is nearly impossible to boil three-and-a-half decades of songs down into a single disk. 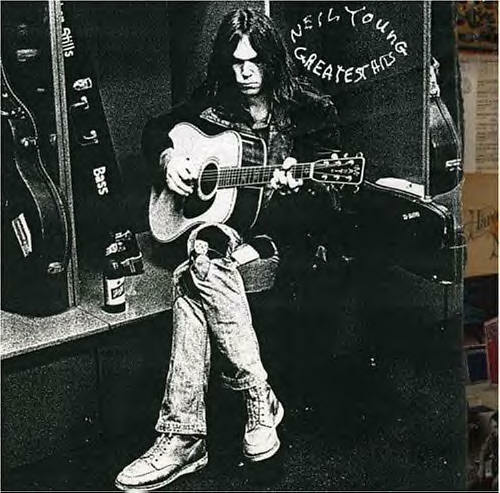 Neil Young's Greatest Hits does it as well as possible, however you can't help but notice all the things that are missing. Where are "Powderfinger" or "Cortez the Killer?" There are only two songs from post-1978 (the proto-grunge "Rockin' In the Free World" and the lovely retro "Harvest Moon"), and while they are both completely worthy of inclusion, it seems to be selling his later work short. There is nothing less than twelve years old on here. What about his Pearl Jam duet "I Got Id?" How about the gorgeous falsetto movie title track "Philadelphia"? What about his stylistic experiments of the early 80s? Granted, they were somewhat inconsistent, but there were songs like "This Note's For You," "Little Thing Called Love" or the vocoderized remake of his own early "Mr. Soul" from Trans. And, speaking of "Mr. Soul," there are a couple of his Crosby Stills Nash & Young songs on here, couldn't that original or another of his Buffalo Springfield songs be included? Perhaps had they skipped the first two songs on the disk, "Down By the River" and "Cowgirl In the Sand," both of which are fine but clock in together at just under 19:30 long, they could have fit more songs from throughout his career. Copyright � 2004 PopEntertainment.com. All rights reserved. Posted December 27, 2004.